Browser malware is so widespread these days that the ways to avoid it should probably be taught in a separate school course. Some of these pests display numerous online ads, while others focus on redirecting web traffic instead. The malicious program called WebDiscover Browser does both. It adds a search toolbar at the top of a victim’s Windows desktop that promotes a junk web service crammed up with sponsored information. 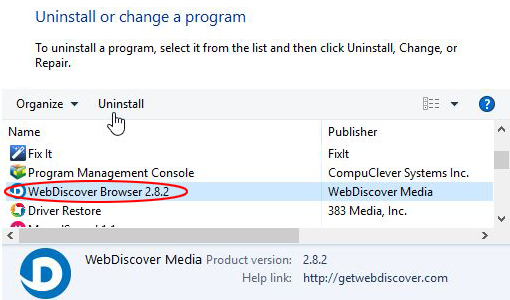 What is the WebDiscover Browser virus? WebDiscover Browser is an annoying Windows application that narrows down the infected users’ Internet search routine by making it default to a specific service with hardly any real information value. 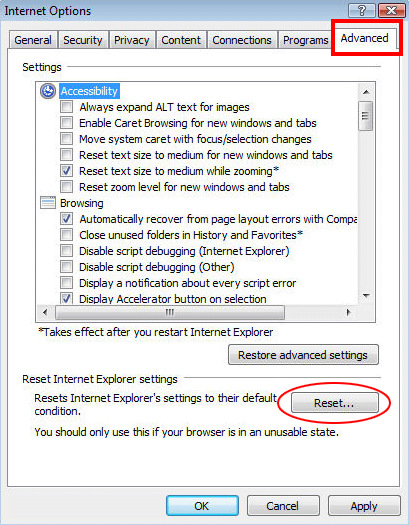 When installed – typically without one’s knowledge and consent – it embeds a toolbar at the very top of the desktop. 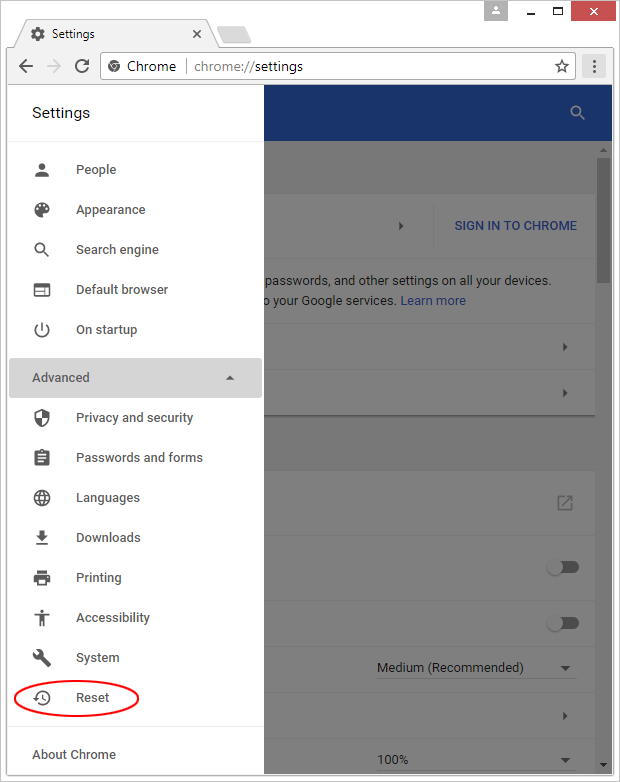 At first sight, this navigation panel appears to deliver a web search functionality without involving a full-page browser. That’s perhaps a feature some people may find helpful to have at their fingertips, but the downsides of this presumable convenience make the whole user experience component of it go down the drain. 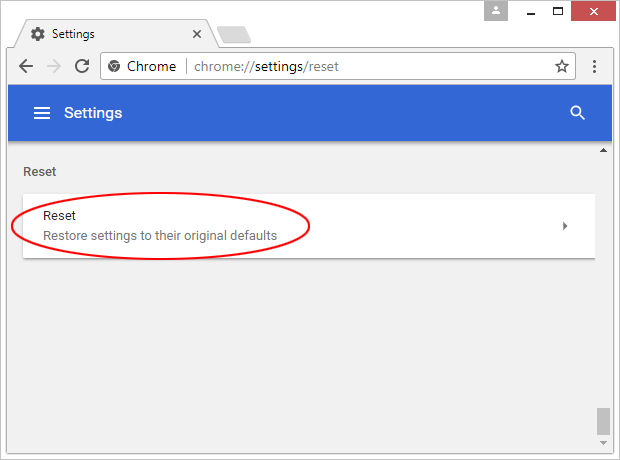 First of all, any search request entered in the bar triggers the Chromium browser and returns results via a questionably safe service. 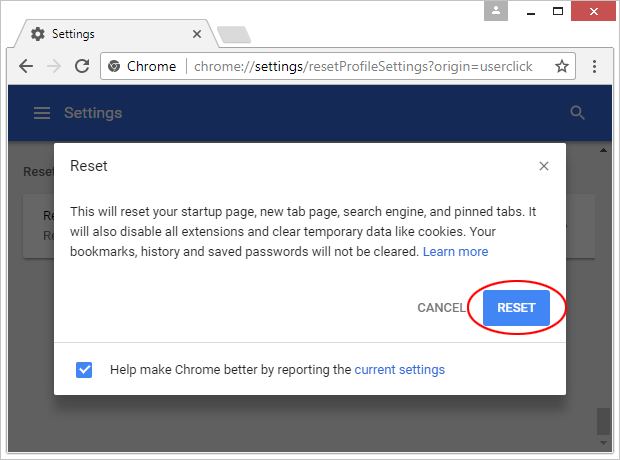 One of the problems is that the Chromium sample has rogue settings hard-coded in it, which means the user will be stuck in a loop of iterative hits to unwanted websites. 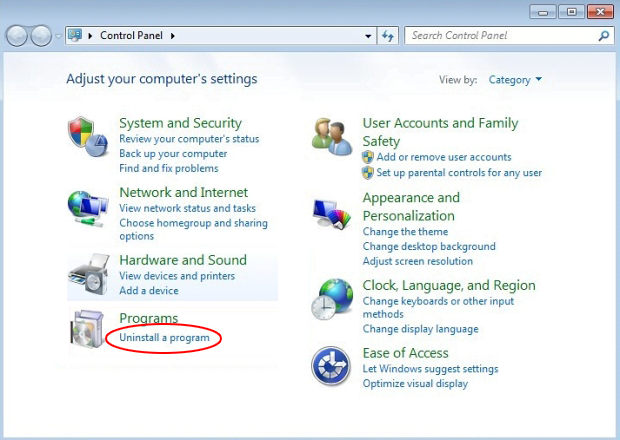 To top it off, the adverse configuration cannot be modified manually due to the persistence of the infection and the corresponding entry having been added to Windows Task Scheduler without proper permission. There is one more flavor of WebDiscover Browser that’s on the big minus side of the app. The homepage of its purported search engine mentioned above raises a serious red flag when accessed. 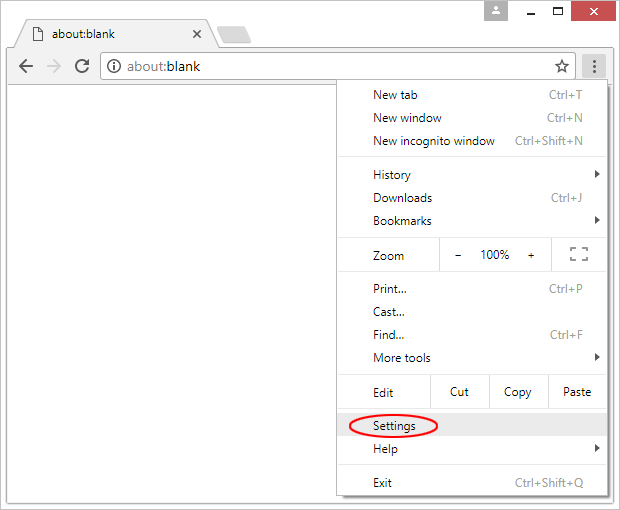 The browser displays an “Insecure content blocked” warning sign that says, “The page is trying to load scripts from unauthenticated sources”. 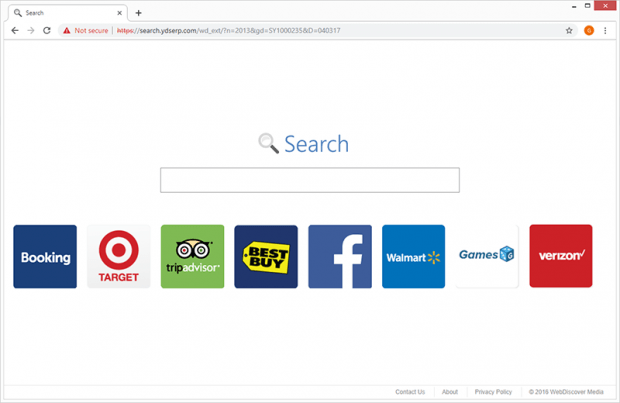 If you manually allow those scripts to run, you will see advertisements in the form of large icons leading to popular services like Facebook, Booking.com, TripAdvisor, Best Buy, Walmart, and Verizon. Of course, when the adware is operating inside a system, it recurrently opens the browser with those scripts already enabled and loading automatically without any notification. That’s a potential privacy risk and covert advertising combo. The WebDiscover Browser virus enters PCs by means of a shady tactic. Its unscrupulous publisher is leveraging freeware bundles to manipulate users into downloading and installing their controversial product. There’s a bevy of these tricky installation clients out there that appear to streamline the setup of Adobe Flash Player, Notepad-like word processors, multimedia enhancement tools, video downloaders, application cracks, utilities for driver updates and the like. The installation wizards of these tools, upon a bit closer scrutiny, may recommend WebDiscover Browser as an extra offer. Therefore, as long as you are okay with the Express installation option, you will fall victim to the malicious program in question. This is why the custom, or advanced mode is more than preferable during such installs. It lets you see what’s being pushed and uncheck it as appropriate. 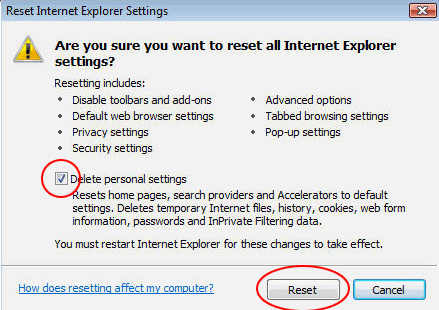 If this hoax has worked out in your case and the WebDiscover Browser toolbar virus is on board your computer, here is what you should do to get rid of it completely. 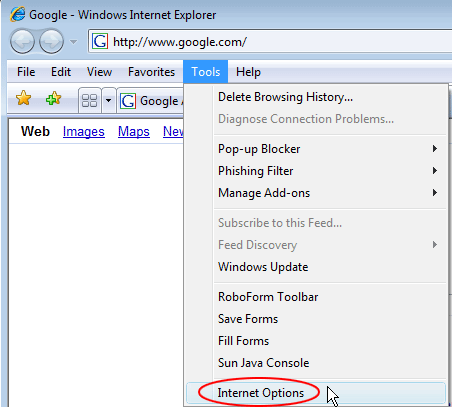 The extermination of the WebDiscover Browser malware can be efficiently accomplished with reliable security software. Sticking to the automatic cleanup technique ensures that all components of the infection get thoroughly wiped out from your system.